Philosophy will be one of the most important studies in the future of AI and fast changing societies. What is “right” and what is “wrong” will take a new face. Philosophy is the study of the nature of reality and existence, of what is possible to know, and of right and wrong behavior. It comes from the Greek word phílosophía, meaning ‘the love of wisdom.’ It is one of the most important fields of human thought as it aspires to get at the very meaning of life. In establishing World Philosophy Day UNESCO strives to promote an international culture of philosophical debate that respects human dignity and diversity. The Day encourages academic exchange and highlights the contribution of philosophical knowledge in addressing global issues. Many thinkers state that “astonishment” is the root of philosophy. Indeed, philosophy stems from humans’ natural tendency to be astonished by themselves and the world in which they live. For centuries, in every culture, philosophy has given birth to concepts, ideas and analyses, and, through this, has set down the basis for critical, independent and creative thought. 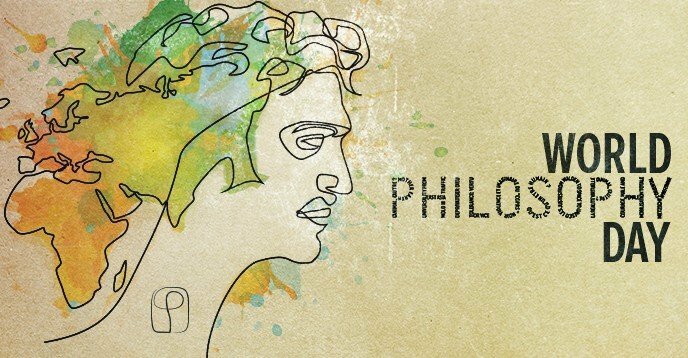 World Philosophy Day celebrates the importance of philosophical reflection, and encourages people all over the world to share their philosophical heritage with each other. For UNESCO, philosophy provides the conceptual bases of principles and values on which world peace depends: democracy, human rights, justice, and equality. Philosophy helps consolidate these authentic foundations of peaceful coexistence.